Page Groups are groups of Pages that are related to a similar topic, department, or location. Each Page Group has an Author as well as Editors and Viewers. Viewers cannot see unpublished pages. Happeo Admins can view and edit every page when Admin Mode is turned on. 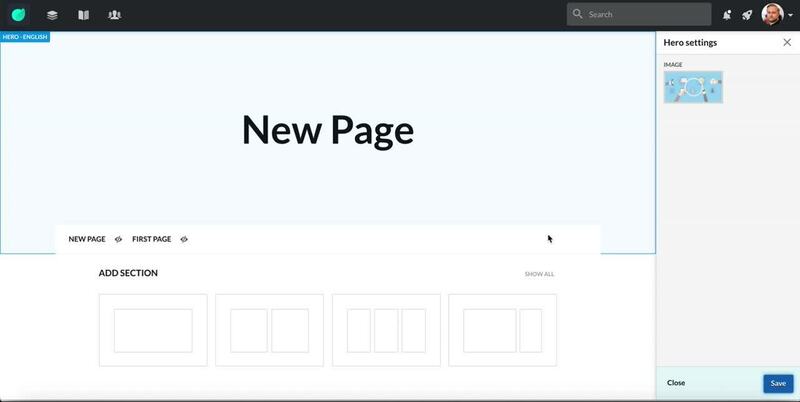 To create a new page, open Pages from the main navigation and click Create New. 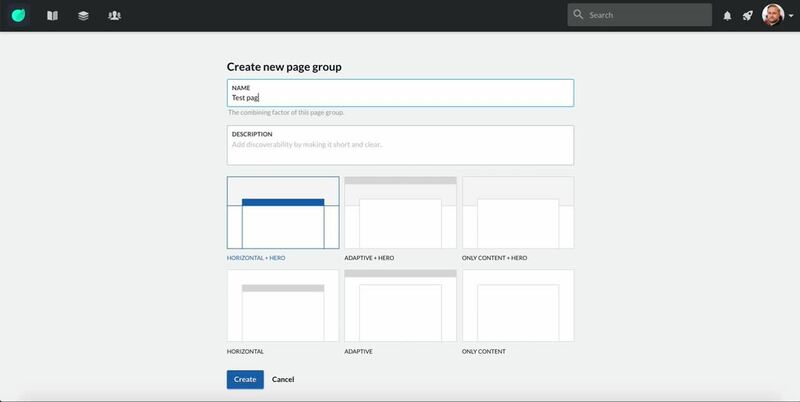 Then add the name of the Page Group, give the Page Group a description and select the layout you want to use. the layout that you choose will be the same for all the Pages in your Page Group. The layouts that have been highlighted below are ones that contain Page navigation the other two do not. Also you can always change the page layout later under the Page Group Styles. After creating a Page Group you can start adding content. You can edit the Hero image and the page name by clicking into the Page header. Page content is created by first adding a Section. A new Section can be added from the bottom of the Page. 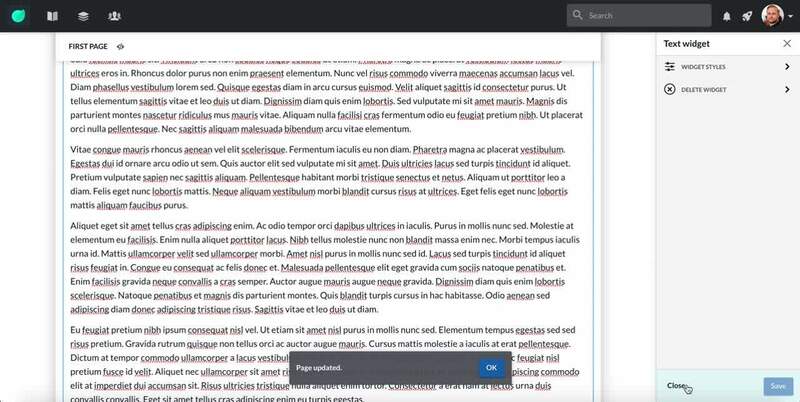 After adding a Section, you can click the section to add different content Widgets. Once you've made changes to the Page, you can see the blue "Save" button glowing. Save the Page by clicking it – remember to save frequently! If you click "Cancel" all the changes you've made will be reverted.